Our country faces serious national security challenges that require advanced war fighting capabilities supported by a robust defense industrial base. Ukraine also needs to build globally competitive capabilities and increase defense industrial cooperation with other countries. Therefore, we believe that reform of the Ukrainian defense industry is a top priority. 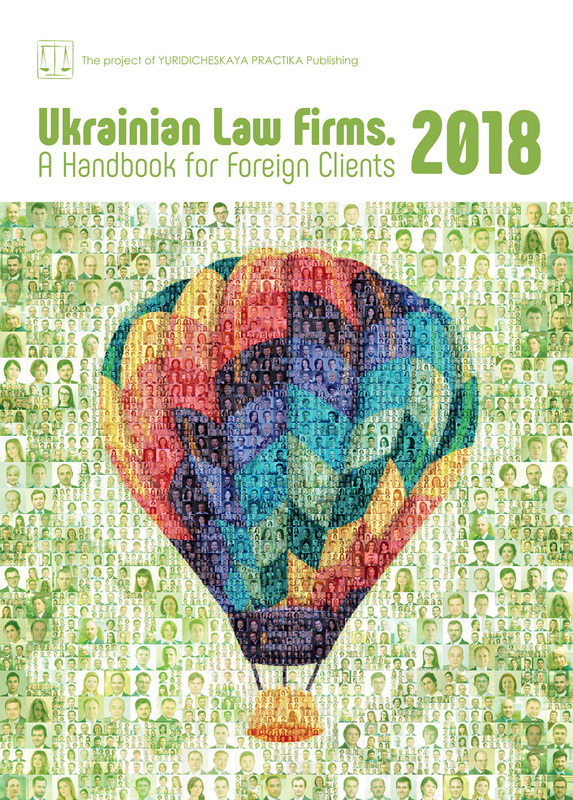 In our article last year called Defense, which was published in the Ukrainian Law Firms Review 2017, we described the major problems in the industry that need to be addressed to catalyze reforms and to make the industry a major driver of economic growth in Ukraine. Unfortunately, despite numerous public statements and declarations, the vast majority of issues have not been addressed to date. Below we outline the most recent developments, challenges faced by the industry and share our thoughts on required reforms. — In March 2017 the Government of Ukraine adopted the State Target Program on Creating and Developing the Production of Ammunition and Special Chemical Products. — On 24 May 2017 the Government of Ukraine adopted the State Target Program of Reforming and Developing the Defense Industry of Ukraine for the period till 2021. — On 14 June 2017 the Government of Ukraine adopted Resolution No. 398-r, which establishes the principal directions for the development of arms and military equipment in Ukraine. — On 8 June 2017 the Ukrainian Parliament introduced changes to the National Security Law of Ukraine stating that cooperating with NATO and becoming a NATO member are among the main principles of Ukrainian foreign policy. — On 9 August 2017 the Government of Ukraine approved the agreement with the NATO Support and Procurement Agency (NATOSPA), which will reportedly allow Ukrainian enterprises to participate in NATOSPA tenders as well as to purchase goods, works and services from non-residents of Ukraine through NATOSPA’s services. — The Draft Law of Ukraine On the National Security of Ukraine was prepared and approved by the National Security and Defense Council. — On 11 January 2018 the Government of Ukraine adopted a resolution consolidating existing lists of dual-use goods into a single unified list of goods for the purposes of export control, which is one of the important steps of reforming the national export control system. In addition to legislative developments, a number of other important events in the industry took place in 2017. Among others, corporatization of SE Antonov and SE Plant 410 of Civil Aviation into public joint stock companies was launched; the Ministry of Defense of Ukraine signed a memorandum with Microsoft Ukraine on cooperation regarding the introduction of modern information technologies in the defense sector of Ukraine, taking into account NATO standards; a number of SC Ukroboronprom’s members signed cooperation agreements / memorandums of understanding with foreign defense contractors (e.g., Rockwell Collins, Aeroscraft, Aselsan); the defense hub uniting public and private defense contractors in Ukraine was established. At the same time, the overall pace of defense reform leaves much to be desired and a number of problems and challenges remain unsolved. Below we outline some of the problems and challenges that the defense industry faces. State Concern Ukroboronprom (UOP), established in 2010, is the largest state defense holding group in Ukraine with about 130 members operating in five major industries as well as in R&D and export-import activities. Despite a number of announced reforms, UOP is still perceived by many market participants as a heavily inefficient and non-transparent holding company where most of the reforms are announced but not implemented in practice. Performing an independent audit/due diligence as well as developing and implementing a clear plan for reforming UOP with the involvement of professional international strategic, financial and legal advisors are considered necessary tools for transforming UOP into a modern Western defense contractor. For such purposes, in November 2017 UOP announced a tender for the enlisting of strategic, legal and financial consultants (consortium of consultants), that will conduct UOP’s audit and will advise on the UOP’s transformation. The tender has not yet been held and the deadline for submission of the tender applications has already been postponed several times. The defense industry of Ukraine is perceived as a highly opaque sector which discourages large investors from entering the market. A number of fundamental legal acts which lay down a roadmap for defense industry reform are classified and are, therefore, not publicly-accessible. Such acts include the State Target Program of Reforming and Developing the Defense Industry of Ukraine for the period until 2021 and the State Program for Developing the Military Forces of Ukraine for the period until 2020. Another example is defense procurement under the state defense order of Ukraine. Procurement is mostly classified, which results in a lack of control over the funds spent and a lack of accountability (allegedly military and dual-use items are procured through single-source contracts resulting in excessive prices and poor quality goods). The current system of export control in Ukraine is outdated, non-transparent and inefficient. Although the need to introduce e-declarations, shorten the terms of review of documents and issuance of authorizations and to simplify export control procedures has been announced on numerous occasions, the relevant initiatives were not systematized, even at the level of draft legislation. As an example, in practice it takes 30-45 days for an exporter to get all the necessary authorizations, which in many instances results in the withdrawal of the counterparty from the contemplated transaction. Another area of concern is conflict of interests at the level of UOP being simultaneously a market player and regulator. Specifically, companies seeking to export military goods have an obligation to coordinate all such transactions with UOP and obtain its consent for the conclusion of certain types of contracts. This provides UOP with additional leverage within the market along with potential access to the companies’ commercial data. Ukrainian exporters also raise the need to educate the representatives of the export control and customs authorities, which will make export control more efficient and less time consuming. SOEs currently make up the majority of defence sector enterprises, and we can see interest coming from both international and local investors to cooperate with such SOEs. At the same time, outdated and rigid laws do not currently provide for effective mechanisms for cooperation between SOEs and private investors. For example, the Law of Ukraine On Management of State Property Objects includes a provision specifying that the establishment of commercial enterprises on the basis of state-owned property is prohibited unless the Government’s stake in such an enterprise exceeds 50%. Another example is the general prohibition on SOEs acting as the founders of joint ventures (JVs) established by the Government’s decree No. 24-92 dated 31 December 1992. Such regulations keep private (including foreign) market players at bay. On 14 July 2016 a number of amendments were introduced to Ukrainian laws enabling Ukrainian SOEs engaged in aircraft construction to set up joint ventures both in Ukraine and abroad. As far as we are aware, no such joint ventures have been established so far. The defense industry of Ukraine still has huge potential and can become one of the major drivers of the Ukrainian economy. At the same time, as Michael Carpenter, a non-resident senior fellow at the Atlantic Council, stated in his recent article: no major Western defense company will take the risk of investing in Ukraine so long as the system is opaque and property rights are not adequately guaranteed. — Establishment of effective corporate governance, oversight and accountability in the defense industry, including establishment of supervisory councils with independent directors in SOEs. — Privatization of non-strategic SOEs. — Performing an independent audit along with developing and implementing a clear plan to reform UOP with the involvement of professional international advisors. — Decreasing the level of secrecy (amount and types of classified information) in the industry, including in the defense procurement process. — Clear distribution of powers between UOP and other state bodies. — Reforming export control — introducing e-declarations, shortening the terms for issuance of authorizations and conclusions, simplification of export control requirements for export of goods to NATO countries, strengthening end-user control, education of representatives of export control and customs authorities. — Amending Ukrainian legislation in terms of JVs, PPP — allowing SOEs to act as founders/participants of the JV, cancellation of the 50%+ state share requirement.